Elizabeth knew that she could build a Canadian Sierra operation one member at a time. And she did - with passionate concern from people like you and me - people who want to be part of a growing movement of folks ready to place their commitment towards building a better world where the protection of our environment comes first. Your joining as a member is the backbone of what we do and allows us to tackle government and industry giants in a way that no other movement can. Our grassroots history and activism has helped secure meaningful wins to help shape environmental progress that matters and that has teeth, to protect our air, precious water sources and at-risk wildlife. It means that when we are doing battle on the ground, or has often been the case in many recent months - in the court room fighting at the highest level – I know you will be there right along side me, to make sure our laws are upheld and that magnificent creatures like our critically endangered whales are protected from further harm. We have Elizabeth to thank for helping to build our Sierra family. And you can be a part of this family dedicated to standing up for what is right and just for our planet, for our endangered species needing our help, and for our most treasured natural spaces. Together, we celebrated the victory of the demise of the Energy East Pipeline, a proposal that would have seen 1.1 million barrels of oil being transported through hundreds of communities from Alberta to New Brunswick. This is what your voice and your membership does! It was because of Elizabeth’s vision and legacy that we have the skills, knowledge, expertise and mobilization to take on some of the largest and most complex court challenges in order to protect vast expanses such as the Gulf of St. Lawrence, and protect the livelihoods of coastal communities and the precious marine life who rely on this most special place. With you as a member, you will directly help our chapter volunteers take on the courageous battles and campaign work that literally save species and spaces that allow our communities to thrive - from standing up to developers in Montreal where fragile migratory birds make their home, defending the irreplaceable Great Lakes, demanding and securing vital green space in cities across Canada, and working right on the ground to shield singular aquatic eco-systems, as our Prairie Chapter has done. Your membership comes with some great benefits, too. And you are the first to receive special offers and discounts from our partners offering unique ways to help us live more sustainably. I’m really looking forward to having you as a member with you officially joining the Sierra Club family! So come on, join us today and let's kick off the arrival of Spring with your committment as a full-fledged member of Sierra Club. I'm so thrilled to have your support! P.S. 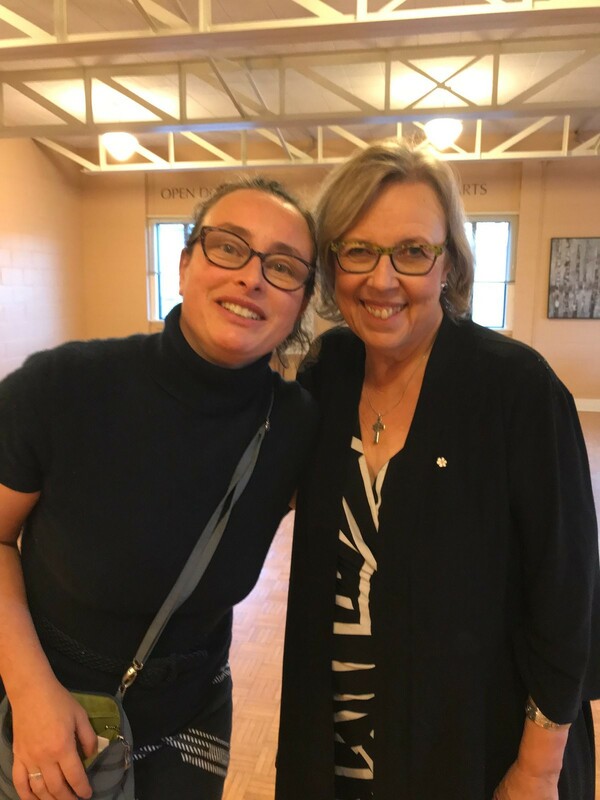 I was in the company of my dear friend Elizabeth May recently. It's always a such privilege to catch up with this treasured champion of the environment!